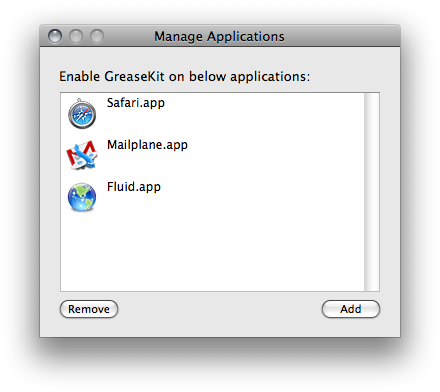 I released GreaseKit 1.7 now. This version fixes a installation problem and adds GM_addStyle and GM_log again. 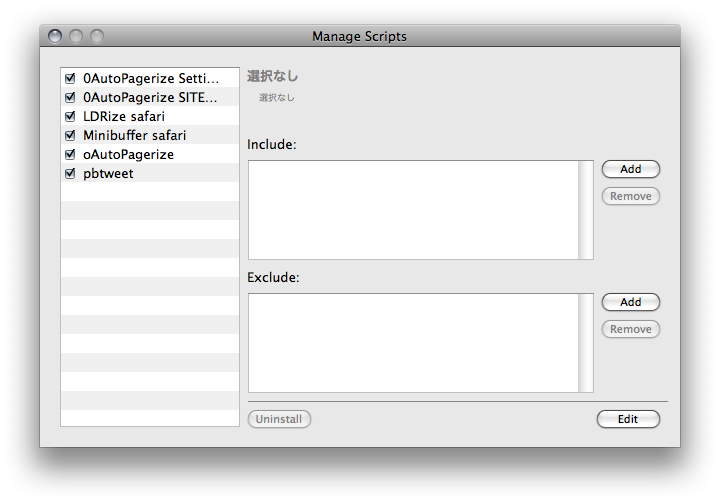 In addition, the “GreaseKit” menu moved to left of the “Window” menu. So, these modification is based on Jiang Jiang’s patch. Thank you! 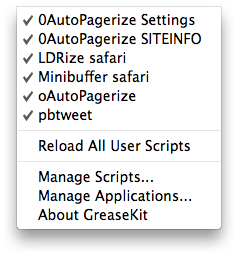 Moved "GreaseKit" menu to left of the "Window" menu. And these modification is based on Jiang Jiang's patch. Finally, I uploaded the disk image of GreaseKit 1.6 on Google Code. This version works with 64bit applications on Snow Leopard. And fixed some memory leaks by Aaron Zinman.